CPAP Trial with Resmed S8 Autoset, Humidifier, and mask of your choice. $300 deposit is refundable against future purchase. For details see CPAP trial. 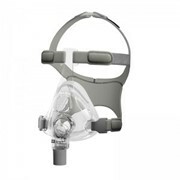 CPAP & Home Oxygen - Adelaide, South Australia Respironics, Resmed, Fisher & Paykel, and DeVilbiss CPAP machines & masks We believe it is essential that our customers get the absolute best results from their CPAP treatment and that's why we provide FULL SERVICE to all customers. This includes FREE RENTAL trial for up to 2 months, MASK EXCHANGE options, compliance downloads, unlimited phone support, and on-going advice and support. Customers in the Adelaide metro area will receive personalised, face to face service from one of our trained technicians, either in their own home, or at our office at Golden Grove. NEW TO CPAP? 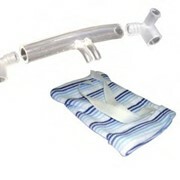 If you have only just been diagnosed with Obstructive Sleep Apnea, and have been prescribed CPAP therapy, you will require guidance and support during your first month or two to ensure correct mask selection and fit, and to monitor your treatment and provide you and your Doctor with treatment compliance reports. You should also try out the different features available on different models before you purchase a CPAP machine. Do you understand the benefits of automatic machines over fixed pressure CPAP machines? Do you need a Humidifier? RENT FREE for 2 months and experience the different options available before you buy. 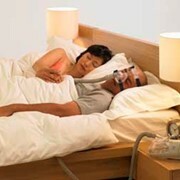 EXPERIENCED CPAP USER? As an experienced CPAP user looking to upgrade your machine or mask, you probably already know what you need. But are you aware of all the latest developments? New features are being introduced to CPAP machines and masks all the time. If you are looking to replace your old CPAP machine, why not RENT FREE for up to 2 months first, try out the different features available, and then make an informed decision on which model to buy. If you are just looking for a new mask, why not try a different style this time. If it doesn't work out for you, you can still return it and make another selection on our MASK EXCHANGE program. Mention MedicalSearch so Fluid Systems can best assist you! Get a callback from an expert at Fluid Systems to help answer your questions.